Welcome at KILMANJARO airport and transfer to Moivaro Coffee Lodge, nested in luxurious tropical vegetation. Briefing and presentation of the off road motorcycles for the tour starting the next day then dinner and night at the lodge. 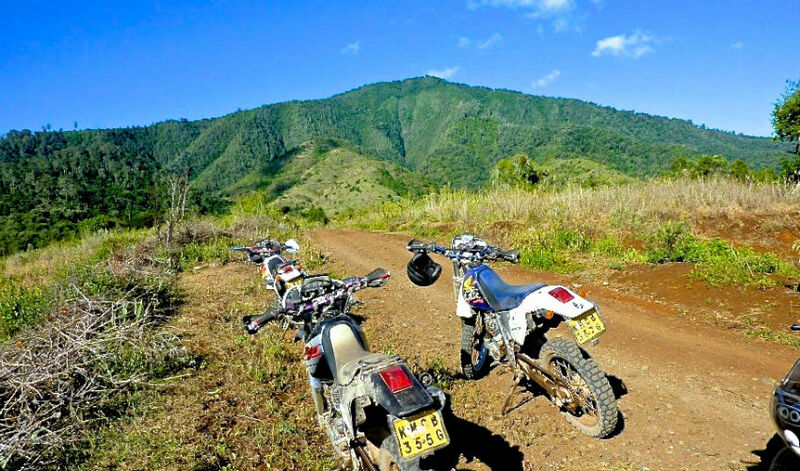 Depart after breakfast for 35 km of tarmac road then branch on a dirt road winding up to Monduli mountains to the edge of the Great Rift with pricy breath taking views over the valley and its volcanoes. 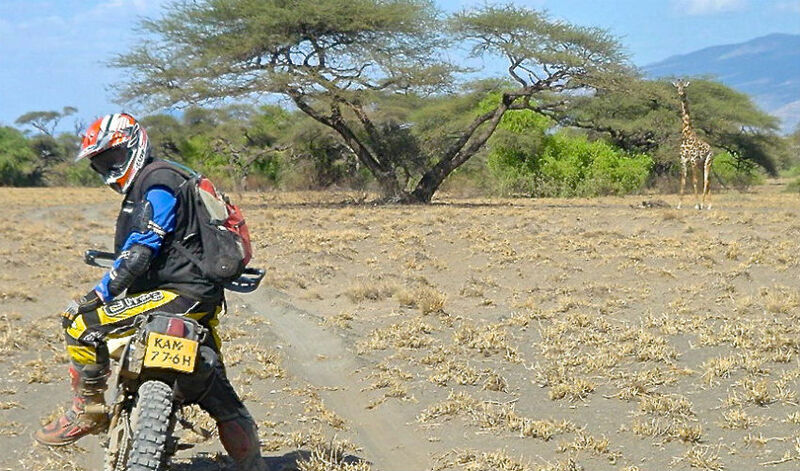 Then roll down through a steep trail into a semi-arid valley, land of Masai people. First encounter with wildlife; giraffes, zebras, gazelles, baboons… Picnic lunch en route. 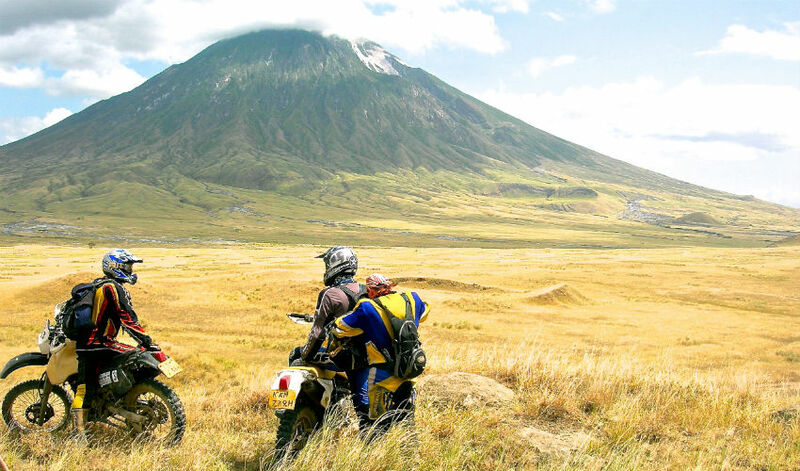 Arrive at Kitumbeine Guest House for a break then go for optional enduro trail and ascend mount Kitumbeine to the edge of its rain forest, overlooking the great rift valley with views of Mount Meru and Mount Kilimanjaro whose summit seems buoyant in the clouds. Return to the guest house for dinner and night under tent. Set off after breakfast. A very dusty trail that rolls down into a vast valley where gnus, zebras, giraffes and antelopes assemble for pastures and water. Picnic lunch under the precious shade of a thorn tree. After lunch take a track that leads the foot of Oldonyo Lengai “the mountain of God.” (2800 m A.s.l), This Sacred Mountain of the Masai is a semi-active volcano surrounded by deep calderas whose sides are covered with ashy volcanic lava. 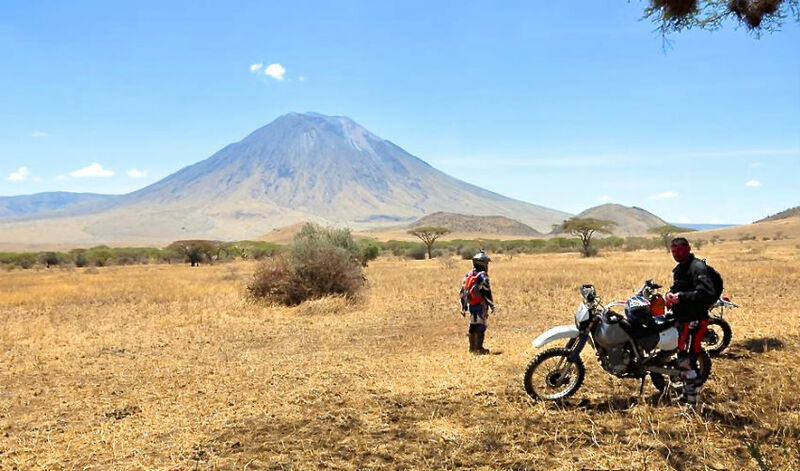 From there, a sandy road takes you to the lowest point in whole Rift Valley: the shores of Lake Natron, which is also the world's largest soda lake… And then pure scenic splendour that inspires in the mind, the image of a picture from the moon. The day ends at World View tented Camp overlooking the lake and a well-earned walk to the spectacular Engare Sero water falls. Dinner and night at the Camp. 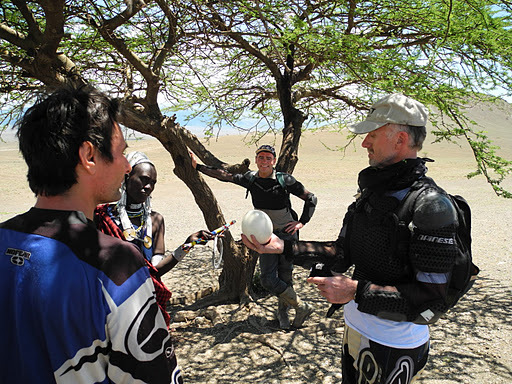 A full day excursion by motorcycle to Malambo to discover vultures nests accross the great rift escarpement. Picnic lunch and return to World View Tented Camp for dinner and night. After breakfast, pass by the lakeshore whereby the flamingos feed. 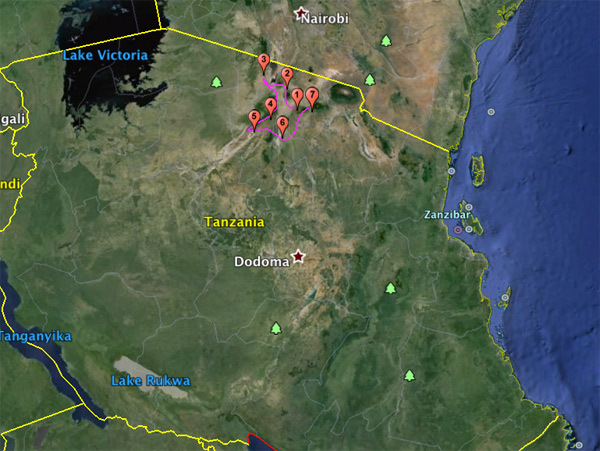 The lake is also the preferred breeding habitat for east African flamingos. Then depart on a stony and dusty trail, along the Rift, passing by Engaruka Masai village and arrive at Mto Wa Mbu centre to fill up. Mto wa Mbu is a big local market situated within the greenery of luxuriant tropical vegetation right at the foothill of the great rift escarpment. A tarmac road winds up the escarpment then an earth trail leads off to Crater Forest Tented Camp, superbly set at the boundary of Ngorongoro reserve and overlooking the dense rain forest. Dinner and night at the camp. Depart after early breakfast and ride to Ngorongoro reserve gate. 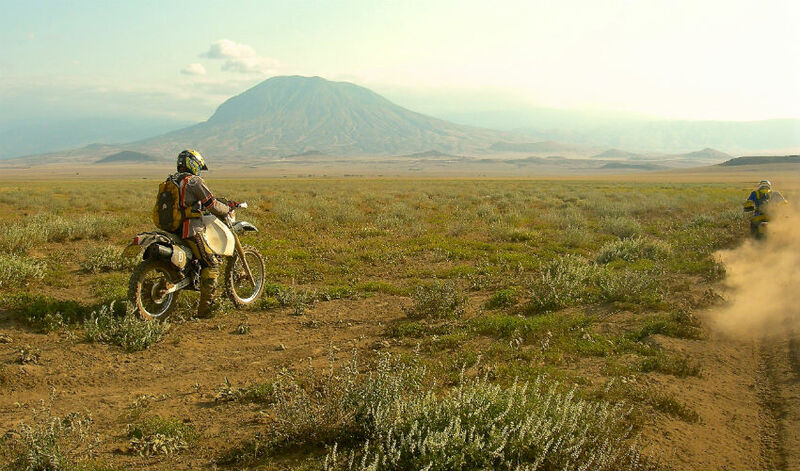 Leave the motorcycles at the rangers’ and proceed to Ngorongoro Crater by 4WD for a tour. 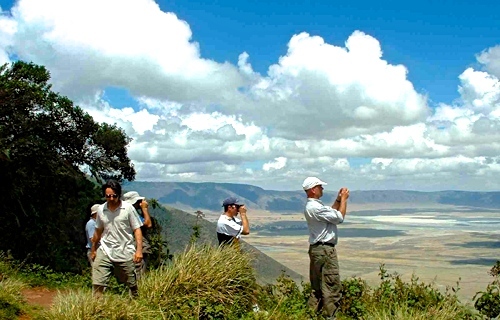 The road ascends a rainforest up to a wonderful view point overlooking Ngorongoro caldera 600 m deep and 19 km wide. Descend to the crater floor through a steep trail to enjoy a view of the Crater’s rich wildlife. 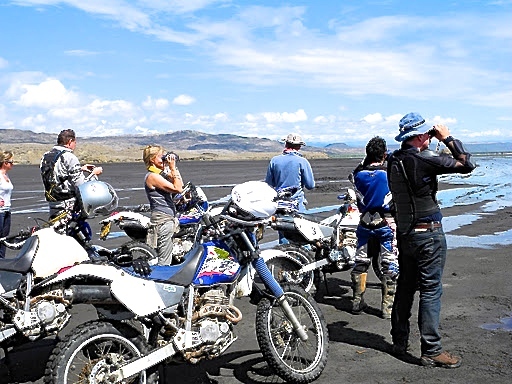 Picnic lunch in the crater then exit and drive up to the gate to get back the motorcycles. Proceed to Lake Eyasi another soda lake nested in the rift within Ngorongoro’s volcanic highlands. Get to Tidinga Tented Camp as evening approaches and pitch tent. Dinner and night at the campsite. Early breakfast then ride to meet one of the most conservative tribes of Tanzania, the Hadzabe pygmy tribe who live on game hunting. 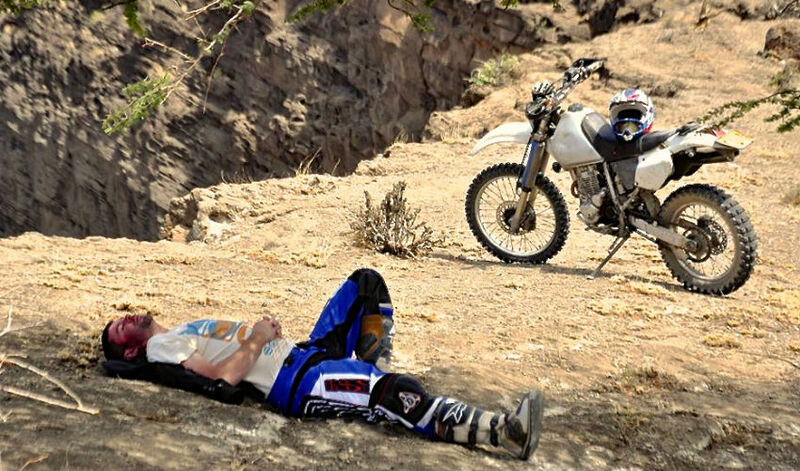 Leave after down to Lake Manyara. Take a 30 Km off-road track along the shores of lake Manyara, for a close encounter with gazelles, wildebeest and zebras. Around midday check into Tarangire Whistling Tented Camp, an eco-friendly camp located at the boundary of Tarangire national park and managed by local Masai community. Picnic lunch then game drive by 4×4 in Tarangire National Park till sunset. Return for dinner and night at the camp. 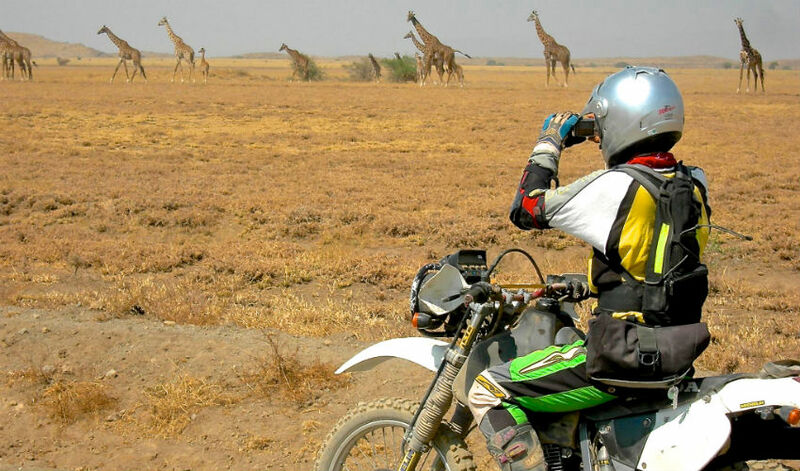 Leave after breakfast for 110 Km of dusty trails with interesting game viewing, picnic lunch in the savannah then finish 60 Km on tarmac to Arusha. Shower at Moivaro Lodge. Evening transfer to KILIMANJARO AIRPORT for your international return flight. Support car with professional crew; driver, mechanic, medic and tour a riding guide. 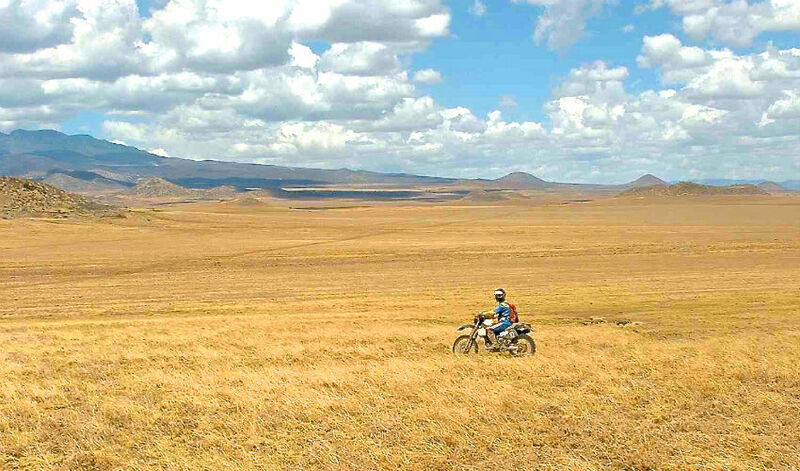 Although we do not ride through national parks, we do pass through wildlife territories and whose encounter is assured.